Pair it with your favorite salsa or guac, or eat it alone. This chip can do it all, no crumbs left behind. As if dieting couldn’t get any cleaner. 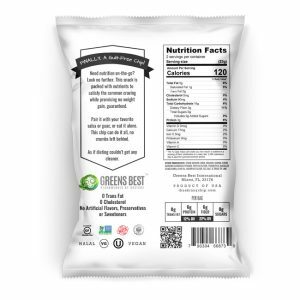 At Greens Best, we strive to bring nutrition back into our everyday routine: from waking up, to going to sleep, and all the snacking in between. For that reason, the idea of the #SkinnyChip was born. 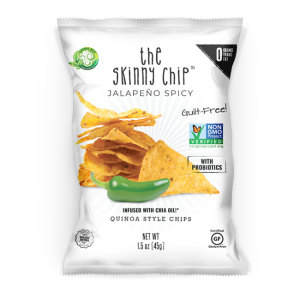 With garcinia and probiotics, the Skinny Chip aims to help you lose weight while still satisfying that craving. We topped it off with papaya enzyme to provide a subtly sweet taste while still ensuring proper nutrient absorption. Q. Are your chips gluten-free? A. Yes. 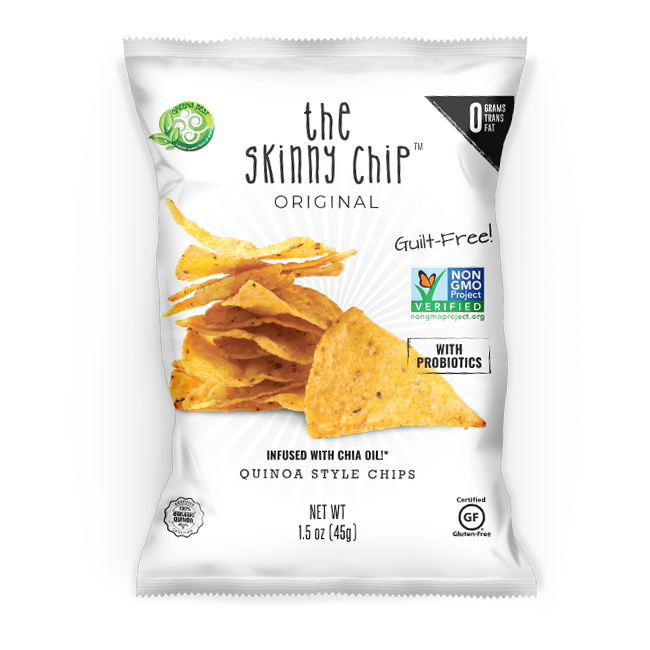 Because the Skinny Chip is composed of 100% ancient grain quinoa, both current flavors are free of gluten. Q. Are your chips safe to eat for people with peanut allergies? A. Yes. 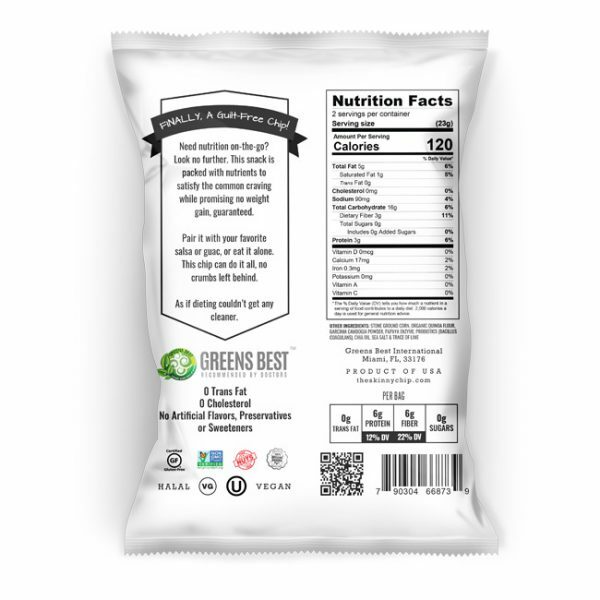 Our chips are certified nut-free and you will find it so on the back panel of our packaging. Q. Do the oils you use contain trans fats? A. No. 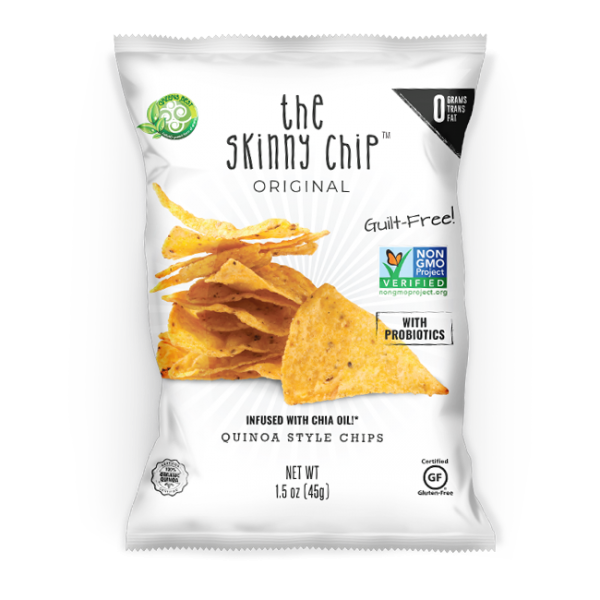 Our chips contain no trans fats, cholesterol, or preservatives. Q. Are your chips dairy-free? A. Yes. We are certified dairy-free on both our current flavors. Q. Do you use MSG in your chips? A. No. Neither of our flavors contain any MSG. Q. Are your chips NON-GMO? A. 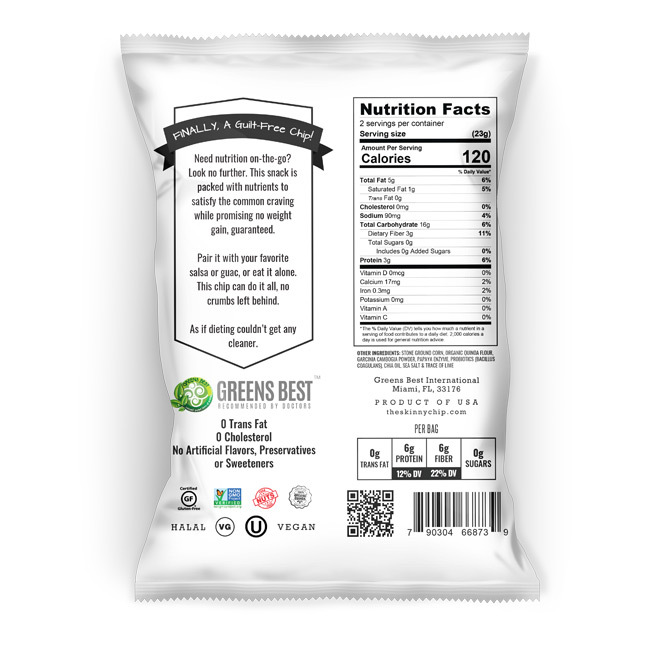 Yes, our chips are verified by The Non-GMO Project. Q. Are your chips halal? A. Our chips do adhere to both halal and kosher standards.